Having been in the design industry for over 25 years, one could say Michelle Nussbaumer is a master of the interior design trade. 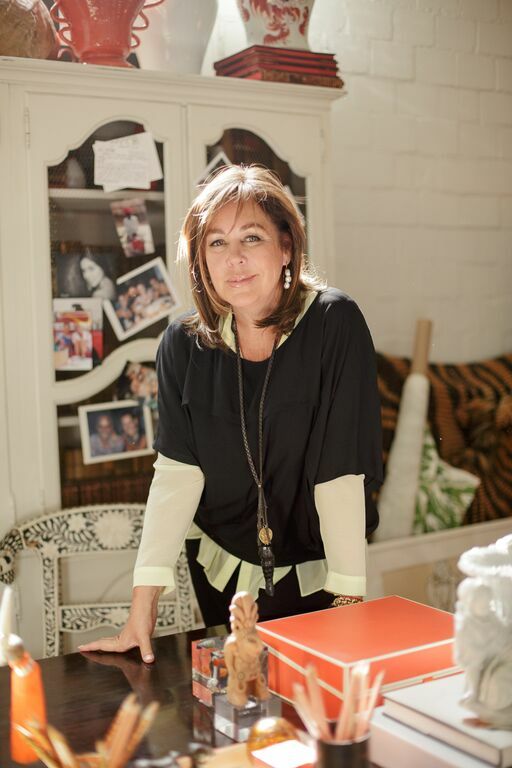 She is an interior designer, textile and furniture line developer, and owner ofÂ Ceylon et Cie, a renowned design showroom located in the Dallas Design District. 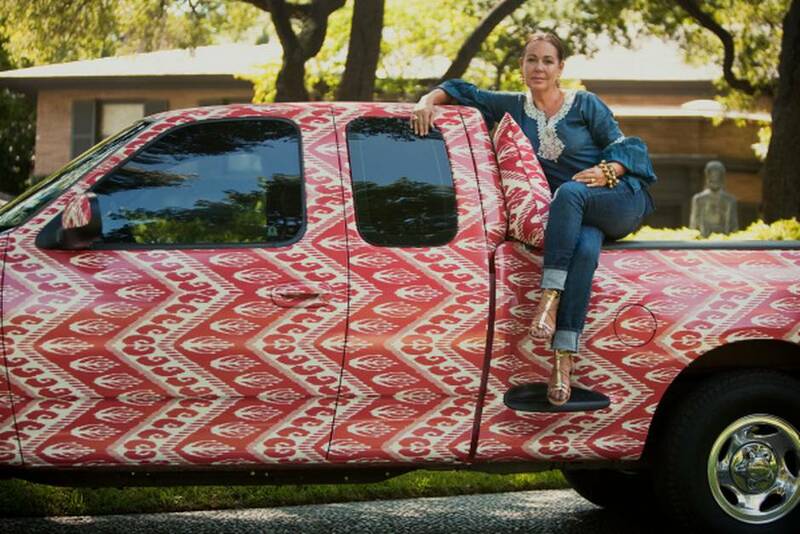 Michelle has a well-known eye forÂ combining exotic and colorful patterns in surprising ways.Â Even her Ceylon et Cie truck is wrapped in her very own chevron Ikat print. With this in mind, it didn’t surprise us when she revealed that her must-have item in her tool kit is red lipstick. Her designs often have a theatrical element. 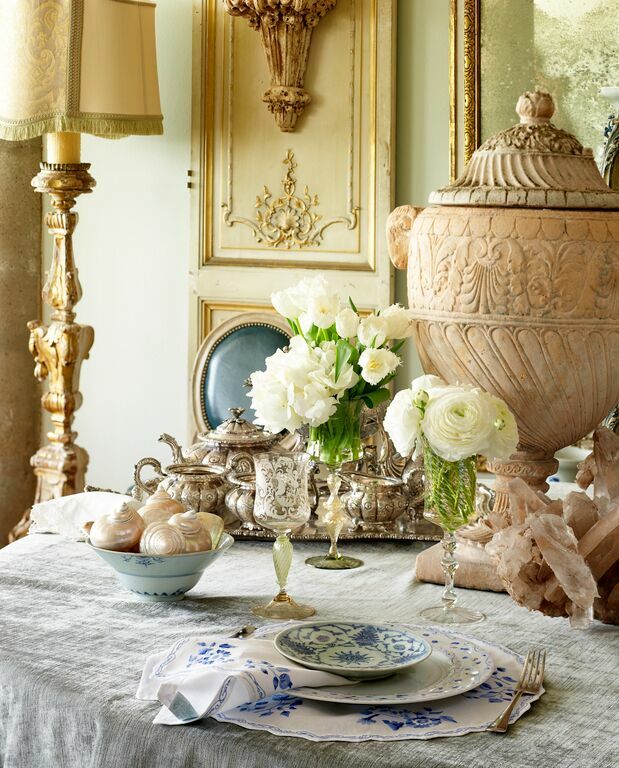 “My career path was inspired by my love of beauty and my passion for set design,” she says. Michelle also draws inspiration from her collections she gathers from her travels. 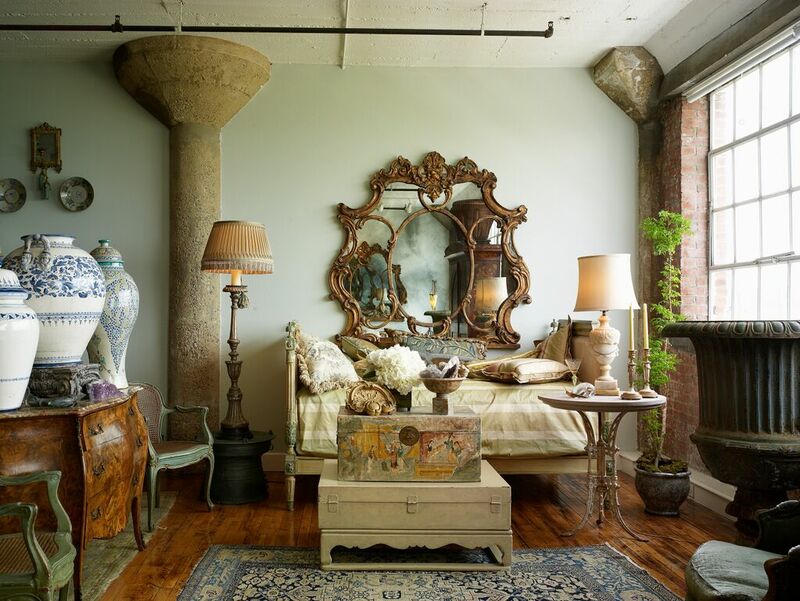 She has a 10,000-square-foot warehouse stacked full of worldly treasures. “The thing I love most about design in general is having an idea, putting it to paper,Â and seeing the reality of it come to life in 3D,” Michelle says. “When designing for a client, I start with a vision board created especiallyÂ for each client that depicts their personality and vibe.” One of her favorite pieces she has designed is the pagoda daybed she designed for Gwyneth Paltrow’s goop pop-up in Dallas. “It has become an iconic favorite,” she says. 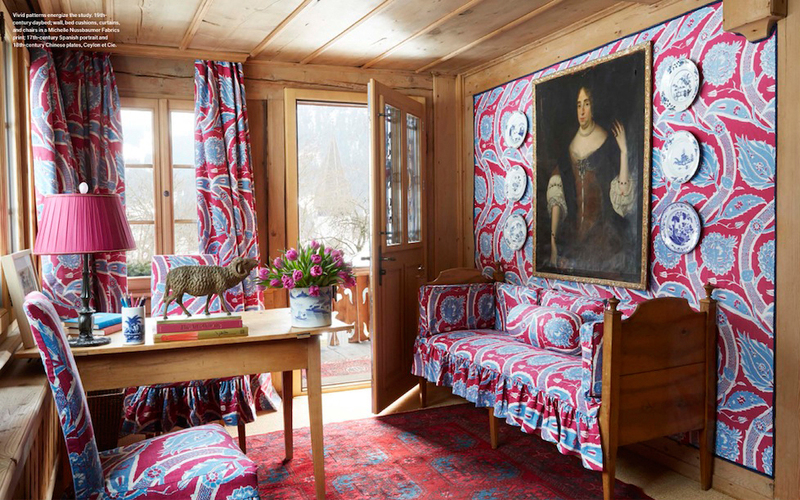 Michelle manages to put together dramatic, colorful, pattern-filled spaces in a way that is comforting and happy. Her interest in design was sparked whileÂ she was double majoring in Biology and Acting at Southern Methodist University in Texas. 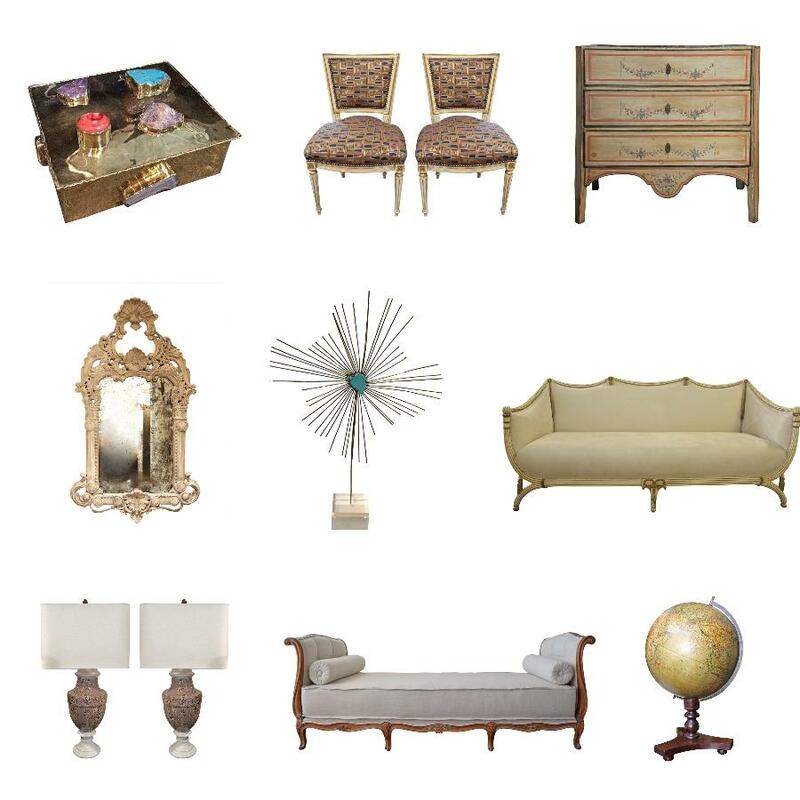 Michelle’s work and furniture designs have been featured in several shelter magazines, includingÂ Elle Décor, Veranda, Southern Accents, House and Garden, House Beautiful, Western Interiors, and The New York Times. Michelle now resides in Dallas with her husband and four children.